We have been taking a look at All that Jazz hand and nail products this week. We are fans of entrepreneurs in the industry so we were keen to take a look at this range which is created by 17 year old Jazz Smedley. Jazz grew up already immersed in the industry as her parents distribute the Gelish nail brand. She wanted to create a range of long lasting nail polishes that would appeal to 16-25 year olds. She travelled to the polish manufacturers HQ in LA and worked on mixing pigments until she came up with her desired 36 shades. She named all of the shades after her family and friends which we think is such a lovely idea. Along with 36 fun shades there is also a range of hand and foot care products which feature Jazz herself on the tin. The nail polishes come in a 15ml bottle are £9.98 and are in a mixture of metallic and glitter finishes. 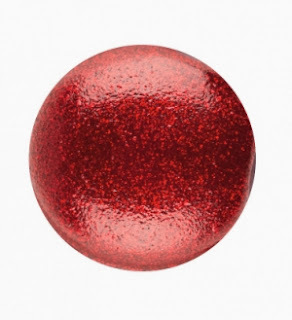 Deep ruby red infused with fine red glitter. The colour looks more cherry red in the picture but it's actually a much deeper red in real life. The colour swatch below gives you a better idea. Our other faves are Catherine's canary fairy which is a beautiful vibrant yellow with a fine lime green glitter running through it. Would look amazing on brown toes in the summer. 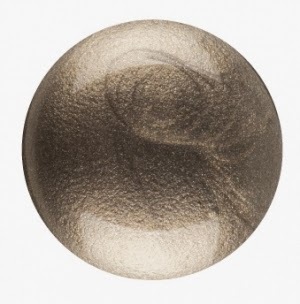 Jazz's toast to the good life is a gorgeous pewter gold colour with a two tone finish. Amazing colour this party season. Jazz's toast to the good life. There are loads more colours so be sure to check them out. I usually forget about my poor hands. They suffer in the winter and are always subjected to chemicals when cleaning or even when testing out new products. I generally always have my nails painted so it's nice to give my fingers the full treatment and test out some new hand care products. We tested out the hand and foot scrub and hand and foot cream. These products come in a variety of fragrances but we tested out the range in the chocolate orange scent. Chocolate orange as you may imagine evokes memories of Christmas. Years of scoffing down a Terry's chocolate orange makes me want to actually eat these products ( don't eat them!). They smell so good. The hand and foot scrub is made from sea salt, almond oil, sunflower oil, coconut butter and sweet orange oil. Feels nice and abrasive on dry skin but because of all the oils it doesn't drag the skin. The scent left behind is amazing and my skin feels silky soft. Once you have rinsed off the scrub slather on the hand and foot cream.100ml tin containing a whipped cream texture hand and foot cream. Coconut oil, rose hip seed oil nourish and the same scent of sweet orange oil provides the natural fragrance. This range is available now from http://www.allthatjazzuk.com so check it out and let us know which colours are your favourites. I haven't seen the Chanel Christmas advert on TV yet but I know it's coming!! Ask most people what comes to mind when they think of Chanel and they will say No5. 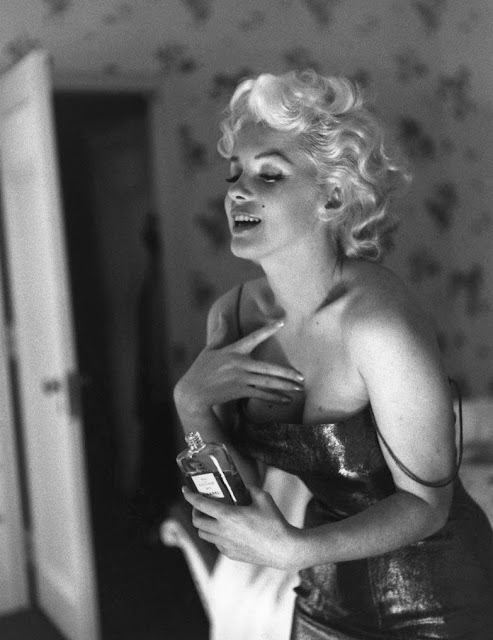 It was Gabrielle Chanel's first fragrance and Marylin Monroe's choice to wear in bed! From many years of working in makeup I also know the Chanel counter is swamped on Christmas Eve by lost looking husbands and boyfriends so get in there quick boys. We have been testing out two limited products from Chanel exclusive for this festive season. Never has an underarm fragrance been so posh. Le Deodorant is a 100ml natural deodorant spray priced at £34.00 ( DO NOT let your partner borrow this). Classic Chanel white metal canister with gold spray nozzle. The classic soapy scents of Chanel No5 linger all day whilst also acting as an anti-perspirant. The hair mist or Le Parfum Cheveux as I like to call it is a 40ml No5 scented spritz to scent the hair. Lightly spritz once over your hair to give it a delicate fragrance. If you have quite dry hair don't go crazy with this as it has alcohol in it however spraying a mist in the air and walking through it won't do any harm. This costs £38.00 and is perfect handbag size for when you need a freshen up. Both of these products and more are available from 1 November 2013 so get in there quick before it sells out and be sure to get it wrapped so you feel extra special! We have been testing out the Braun Silk Epil 7 over the last few weeks. Having never really used an epilator before we were worried about the pain factor involved. To be honest at the beginning it is slightly painful but the more frequently you use it the weaker the hair becomes and the less painful it becomes. The epilator head is on a rolling mechanism that contains tiny close grip tweezer style pincers. Set on a pivoting head these glide over the skin to aid hair removal from even awkward areas such as the under arm. Even the tiniest hairs as short as 0.5mm can be removed. A great feature is that it can be used wet or dry so you can whizz it over your legs whilst in the bath or shower. There are two speed settings No 1 setting will give gentle epilation and No2 setting will speed up the process for a more efficient epilation. We found it kept hairs at bay for around 4 weeks and the more we have been using it, the less frequently the hairs are coming through. The epilator head is easily removed and can be substituted for the included brush head that removes dead skin cells and helps to brighten the skin. Use this head before or after epilating to stimulate skin to reveal a radiant glow and to also help reduce the chance of ingrowing hair. Using the brush head also feels very soothing after epilation. Be sure to use the tiny brush included to give your epilator head a brush through after use. Keeps it free from hair and hygienic. 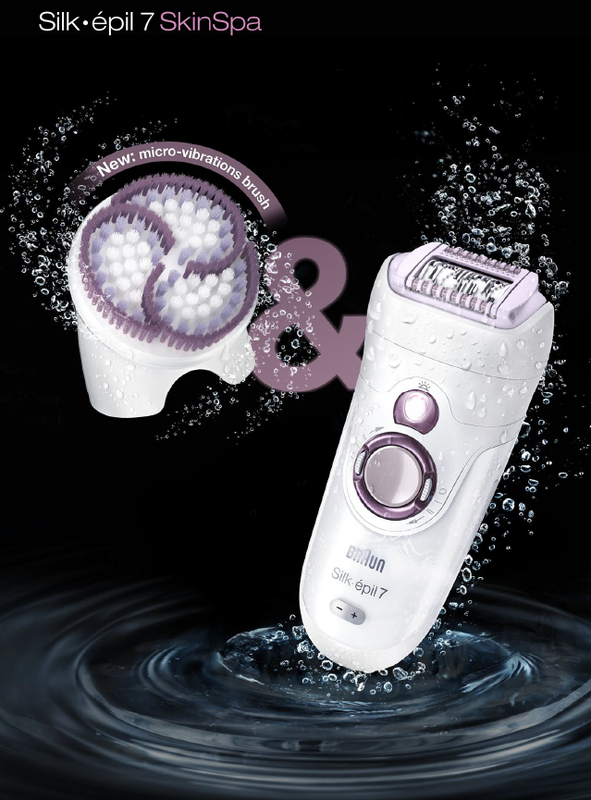 The epilator is cordless but will need to be charged up after around 40 minutes of use. This epilator is normally priced at £169.99 and we have 3 to give away to three lucky people. 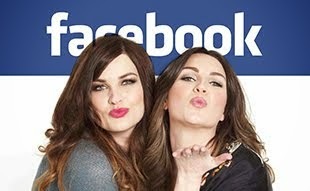 All you have to do is check out the video below of us talking about this fab product and leave a comment. We will then randomly select the winners. Good luck guys. 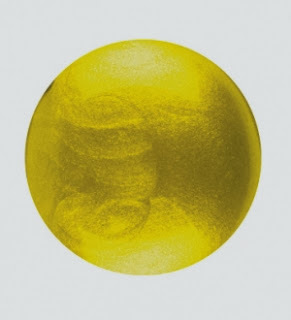 St Grape is a range of natural skin care products which are hand made using ancient processes. The product range allows you to use spa style products at home. Massive 500g plastic tub filled with coarse sea salt granules. What makes this ancient scrub ancient? I think it is because the salt is infused with natural essential oils including coconut, lotus flower, Jasmine, Rose and Lavender. I recently went to Egypt and the scents in this product took me back to the scents I could smell there naturally. The texture in the pot feels quite dry but as you massage over the feet the oil is dispersed to make massaging into the skin easy. The course edged salt helps to soften hard calloused skin from the soles of the feet. The oils in the scrub are very strongly scented and the main fragrance coming though is the Jasmine and Lavender. The scrub really did soften my feet and left them smelling soapy clean. I would advise using this over a bowl or the bath as the granules drop down whilst massaging. Mini clay facial spa package contains an anti wrinkle essential serum, Lotus-Rose essential toner and precious silk skin clay. Application tools and headband are also in the kit. This serum obviously has a more oily texture and although it is suitable for all skin types it may feel too greasy for an oily skin (would be great at night time though). A really lovely serum on sun damaged skin, eczema and psoriasis although do not use on broken skin. The serum will deeply moisturise and rehydrate the skin. Use it under the clay mask in this kit for a double dose of skin care. Making up the clay mask in this kit was fun and really easy. Using the measuring cup included pour in some of the Lotus Rose Toner. The Lotus-Rose toner is again 100% natural and is designed to soothe and calm an irritated skin. Next open the pot of skin clay. This grey powder is a mix of three types of clay. Originally these clays were used as a wound care clay and they helps to eliminate toxins in the skin as well as softening and drawing out impurities. Spatula in the powder and stir. Keep adding more toner or powder depending on the thickness you would like the mask to be. Once mixed use the supplied brush to brush over the face and neck. They even include a hairband to keep your hair off of your face. Apply a thin layer of the mask, leave to dry and then apply another layer. By doing this the mask will still feel comfortable and not feel tight. This dries quickly and forms a hard chalky mask. St Grape recommend keeping this mask on for up to 30 minutes and have a really good tip to avoid that itchy, dry mask feeling. They advise mixing a little of the toner in with a mineral water spritz and spray every so often onto the face to soften the mask slightly. After using this my skin felt surprisingly refreshed, soft and really clean. I like a tightening mask like this as I feel like it gets deep down into the pores. The clay is great if you suffer with congestion and blackheads as the clay helps to draw these out. I advise mixing toner and clay in small quantities to ensure you don't waste any product. The Aqua Bliss bath scrub is the best-seller for St Grape, the salt grains are manufactured in a special ancient way to give them a consistent 1/5 original size – ensuring a really good exfoliation for perfectly smooth skin, without being too abrasive. The tiny grains almost have a mousse like texture and as you massage into the body the grains gently exfoliate. I love the smell of this, really soapy and clean and although it contains Jasmine and Lavender it isn't over powering at all. A good all round body exfoliator and as it contains no parabens, silicone's or sulfate it is perfect for a sensitive or irritated skin. The fine grains also make this a good skin prep to use before self tan application. I haven't used a bath salt in years and it seems there are multiple ways in which you can use the St Grape pink salts. Firstly it's baby pink which is always a winner! On opening the bottle the Spearmint and Eucalyptus hits you. My sinuses are cleared immediately!! The salt is made from Himalayan pink salt, Pelargonium graveolens flower oil (Geranium oil to me and you), basil, lavender, spearmint, eucalyptus, peppermint and wild mint...yep this is very minty!! Obviously you can pour 3 cups of this straight into your bath for a invigorating soak or you can use it in two other ways which I hadn't thought of. Included with the salts is a muslin cloth bag which you can pour the salts into. Whilst in the bag you can then massage the bag over the skin for a muscle relaxing skin massage. This will help to remove dry skin and stimulate the circulation. Alternatively if you are like me and love a treat for your feet add a cup of the salt to a foot bowl and immerse your tootsies in the water for 15 minutes. This massage oil is 100% made from essential oils so if you are sensitive to oils, pregnant or have any medical conditions then check with your GP before use. The oils are derived from plants, trees, roots and seeds and are combined into organic camellia seed oil and extra virgin olive oil. Again this is very minty. Containing mainly mint extracts this is an uplifting massage oil. The oil sinks in easily so this can be used as a body oil to soften and hydrate the skin. I found once this was massaged in the natural fragrance changed and became a much warmer scent. The rose and grapefruit notes became more apparent. I say treat yourself to a hot bath before bedtime and lock in the moisture with this massage oil. St Grape are also running a competition and they are offering our readers a chance to win one of the 5 products we have reviewed above. To enter simply click on the link below. Good luck! If you are stuck for ideas this Halloween then check out some of our tutorials below.